A new winery with a fresh new image. 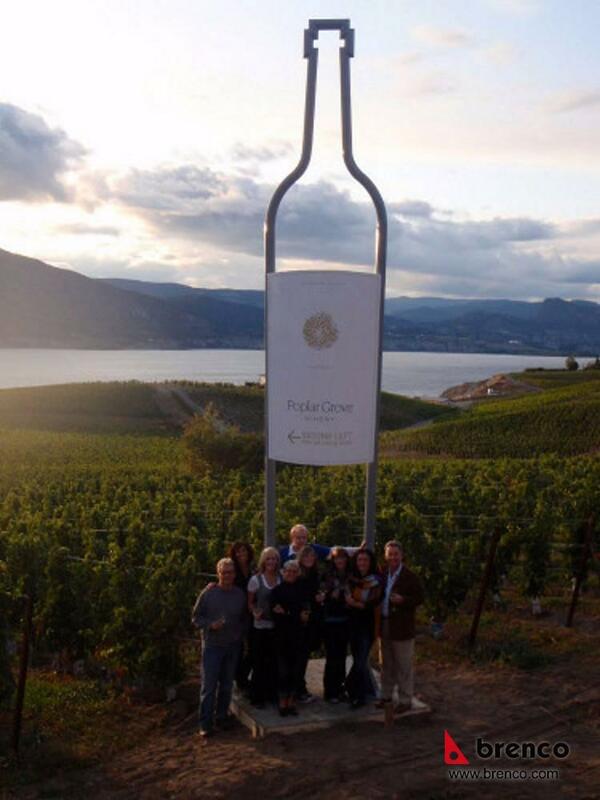 Poplar Grove chose a unique and bold image to gain attention to their new winery in Naramata, BC. Brenco built the “wine bottle” using schedule 40 pipe and the “label” from sheet metal. The sign stands out against the beautiful lake, hills and sky of the Okanagan Valley because of its simplicity and elegance.